One of the worst feelings is that of realizing that you have roller marks in your new paint job. Although this is a fairly common occurrence, there are some techniques you can use to keep your painted walls smooth and mark free. Get ready – Move all furniture out of the way. Cover furniture and floors with drop cloths to protect from drips and spills. Use painter’s tape to cover trim and other things you don’t want painted. 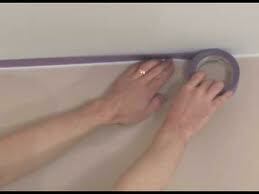 Do not use masking tape since it can cause damage to walls and other surfaces, causing you more work. Do edging – Paint corners and edges with a paintbrush. Load enough paint into your brush to cover without dripping. 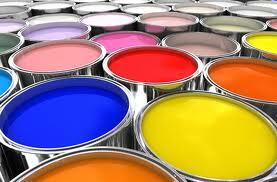 Paint in 1-2 foot sections, skipping ahead so you are painting from a dry area to wet paint each time. When edging and doing corners, paint an area that is around 3-4 inches wide so you don’t have to scrape and mark walls by getting your roller into tight places. Roller paint large areas – After you have completed your edging, load your paint roller for the large areas. Fill your roller, completely covering the surface. Remove excess paint with the ridges at the top of the pan. If the roller is producing drips, it is overloaded. In order to avoid leaving roller marks, paint in a zigzagging pattern, covering only 3-4 sq. ft. of wall at one time. Starting at the top of the section, paint a capital M shape on the wall. Next, zigzag over that area until it is completely filled in. Work in sections, starting at the top and always painting from a dry area toward a wet area. Once you have painted 4 sections, roll over the completed sections to blend the paint before moving on. Paint trim – Follow the same edging directions as for walls. Then paint areas of 12-18 inches long from dry to wet areas. It is extremely important not to overload brushes, as drips will ruin your freshly painted walls. Paint slowly and methodically to ensure that your trim is as flawless as your walls so your entire room will look professionally done. Nothing ruins the look of a room as quickly as streaks, roller marks, or drips in your paint’s finish. To avoid these blemishes and to get professional results, make sure you avoid overloading your rollers and brushes. You must also work in zigzagging patterns from dry areas to wet areas that have already been painted. Although this can seem much more awkward than rolling paint up and down on walls, it provides a much nicer finish. In addition, it will eventually become habit as you get used to painting the correct way. If you are planning on painting in your home, make sure you have a sufficient amount of time to complete the job before starting. An average room takes around 4 hours to paint properly, while the trim adds around 3 extra hours to the total time for the job. Terry G. is a writer for Best-Careers.org. If you are interested in making your home beautiful and even getting your education while you are home to start a new career, this site is a great resource.